At Decatur Church we believe that God invites us to give back to Him as a result of His faithfulness to us. He blesses us when we give but our motivation for giving is: because He has already blessed us.  Giving to Decatur SDA is simple and secure. Just click here. Once navigated to the Adventist Giving website, registering for an account is fast and simple. You can use your checking account, debit card, or credit card. Thank you for your generous donation!